Dec - 28 | By: Oregon Film | one comment. This is how Tom Cruise, Mia Sara and Tim Curry in Ridley Scott’s “Legend” became solidified in my head one New Year’s Eve in 1986. I mean, no one ever mentions “Legend,” do they? Blockbuster! Boom. DVDs came and made things better (no rewinding!) for a little while, but then along came the internet and that just wrecked the joint. Raider/Contributor Phil Oppenheim says “farewell” to a stalwart game changer icon of the 80’s and 90’s. On or before December 30, 2017, Blockbuster Video in Sandy, Oregon will have closed its doors forever. 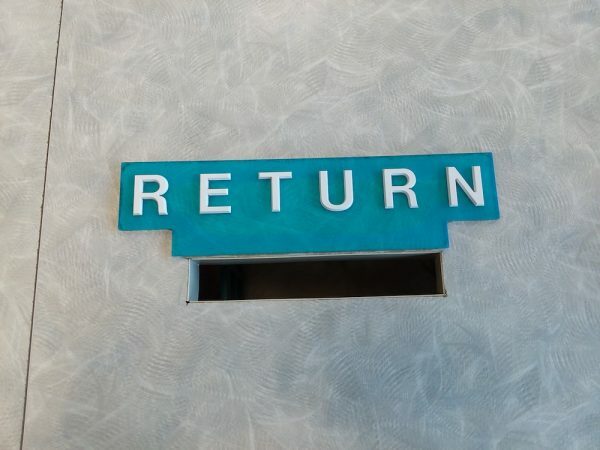 Blockbuster Video, home to tens of thousands of VHS tapes and DVDs, and thousands of stores, once stretched its empire from one corner of the country to the other, staking its claim on every city within its rental realm with its trademark torn-ticket rotating signs. By the 2010s, though, thanks to online competition and corporate shortsightedness, Blockbuster went bankrupt, its stores closed as part of its Chapter 11 reorganization and sale (and its digital storefront now a subsidiary of DirecTV). The company that had radically altered the American entertainment landscape, becoming wildly popular by having its ubiquitous stores help to make it relatively easy and convenient to watch whatever movies you wanted whenever you wanted to — and getting us all comfortable with the idea of “on demand” culture — became a widely scattered graveyard of storefronts and parking lots dotting America’s suburbs. And next week, as it must to all men, death comes to Blockbuster Video. At least it will to its lonely outpost in Sandy, Oregon. There will still be a handful of Blockbusters left in the United States in 2018, with fewer than a dozen flung among Alaska (9), Texas (1), and Oregon (3, soon to be only those in Redmond and Bend). 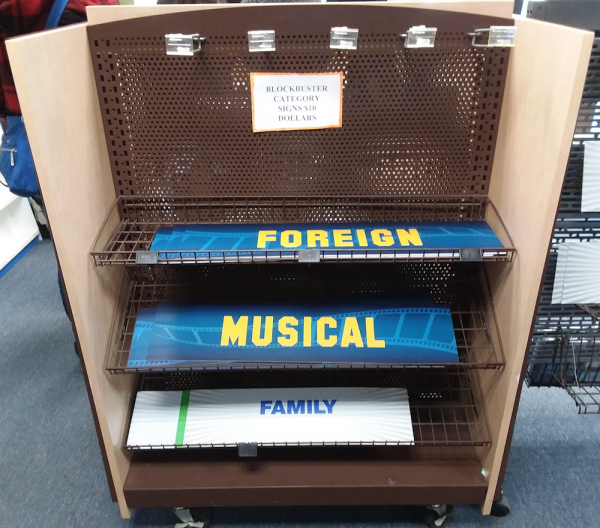 For the vast majority of Americans, Blockbuster will live only as a fading memory. I decided to visit the Sandy Blockbuster before it hung its last “Sorry, We’re Closed” sign on the door, partly to see if those memories could be rekindled, but also, selfishly, to stage a last-minute Raid on some marked-down, Everything-Must-Go DVDs (and one of those scores, Brutal Beauty: Tales of the Rose City Rollers, will be the subject of a future column). In full disclosure, my trip was motivated by a slight tinge of schadenfreude too; many (many) years ago, I worked at a mom-and-pop video store (among the best in the Southeast, I’d argue) whose departure was hastened by the mushrooming monopoly of Blockbuster Video. 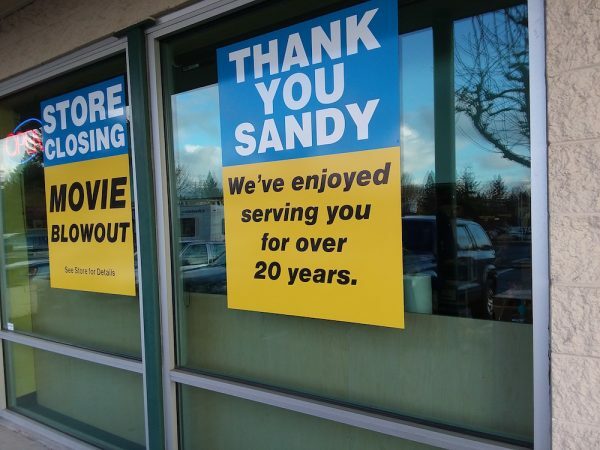 I was curious about the Sandy closing, but wasn’t particularly sad to see it go. The half-empty parking lot, though, felt a lot more somber than I had anticipated, and my cynicism quickly dissolved into melancholy. A few customers were scouring the shelves for good deals on sad-looking, picked-over used DVDs; a couple kids running around the store and laughing, ignoring their exasperated mom’s pleas to calm down, were a much-welcomed reprieve from the grim atmosphere of the stripped-down store’s death rattle. 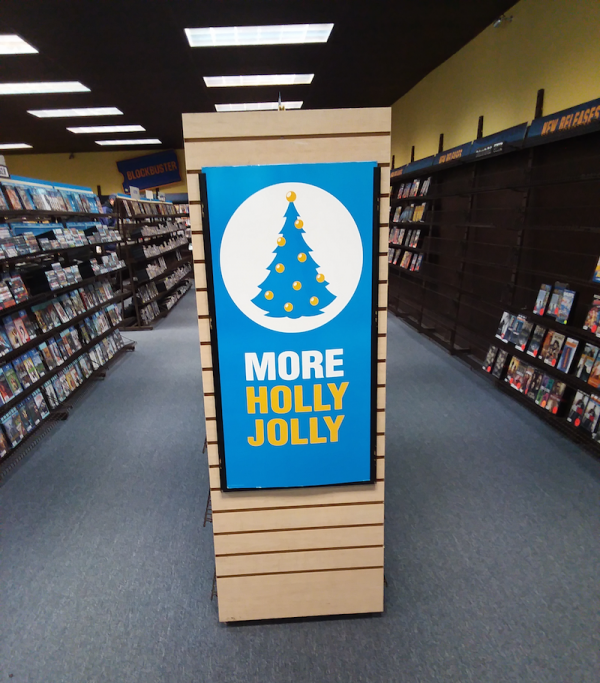 There was one bright spot in the store, though: the lone Blockbuster employee, Jill, the person charged with shutting off the lights and locking the doors for good. Good luck trying that with the Redbox machine or the algorithms at Netflix. Portlanders come into the store too, sometimes to stock up on rentals as they head up to their mountain vacation, but sometimes just to gawk too. “People come from Portland and they’re so blown away, and they get out of their car and take pictures out front, and they come in and ask us how we’re still here.” I feel a little ashamed for the snapshots I’ve already taken in the parking lot, and tuck my phone into my back pocket. What is the future of movie rental stores? Jill speculates that they’ll continue “getting bumped out by the internet, so I guess people will have to do that and Redbox, but it’s sad because in this area, the reason we’ve stuck around for so long is that there’s a need,” and one that isn’t easily satisfied by corporate behemoths. After wishing her well and throwing my spoils into the passenger seat of my car, I decided to drive aimlessly along the lovely winding roads around Sandy, Kelso, Bull Run, and other spots dotting the Mount Hood Corridor. It’s easy to believe that Jill’s right, and the internet will eventually meet everyone’s consumer need for a convenient movie delivery system, albeit one that will reduce the magic of movies to just another product to order online along with printer ink, Q-tips, toilet paper and Keurig K-Cups. 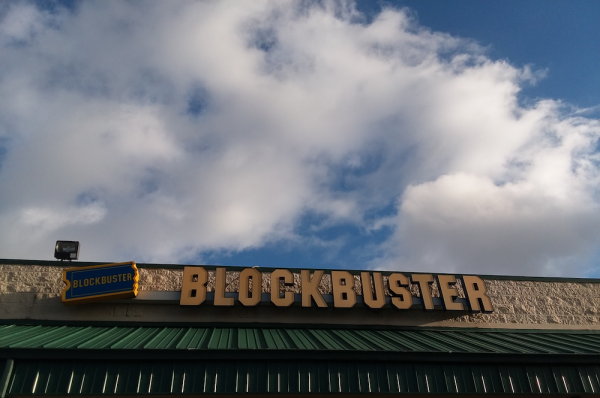 But for now, it’s sad to see that the ad-hoc community that connected small-town neighbors—thanks in part to the unlikely bond-builder, Blockbuster Video—will be gone. In its absence, it’s up to all of us to remember to be kind (and rewind). 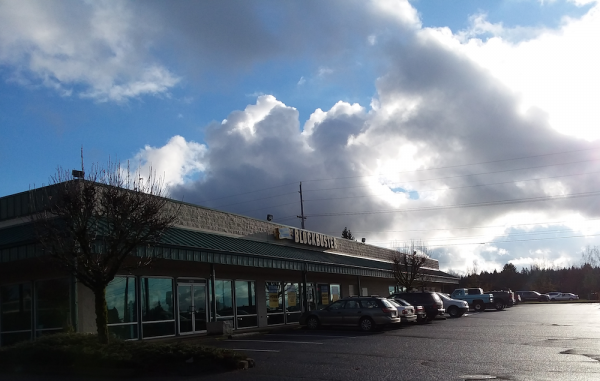 Visit: Blockbuster Video, Sandy, Oregon. You can try to catch them while they’re open, or say hi on their Facebook page. 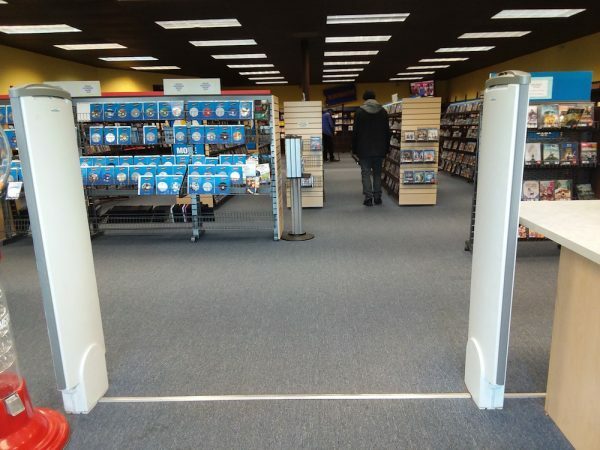 Read: There are many good accounts of the demise of Blockbuster Video. The Atlantic did a nice job rounding up some analyses back in 2010; then as now, this one graph, from Consumerist, speaks volumes. Shop: Be sure to visit your local Mom-and-Pop video store, if you’ve got one in your town! There’s Mr. Video outside of Salem, Video Horizons in Astoria, Silver Screen Video in Eugene, and Clinton Street Video, Impulse Video, and Movie Madness in Portland. Have you got some great shops to add to the list? If so, let us know in the comments!